A luxury hamper under the Christmas tree really does give you that magical feeling – and if you’ve added some personal touches to your gift you can feel truly smug. Not only will you have the thought-factor sorted but, with Gluten Free Hampers on your side, you’re bound to have chosen really tasty gluten free goodies too. The beauty of creating a Christmas hamper with us is that we hand pack all our hampers to order. 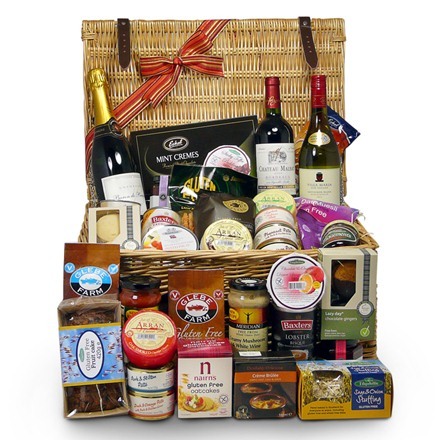 Adding items to one of our themed hampers or creating a unique hamper just for you is what we do – and with pleasure. If you’re creating a hamper for a someone who likes to spend time in the kitchen, we’ve got a fine selection of baking goodies – from the Baker’s Essentials to special treats. 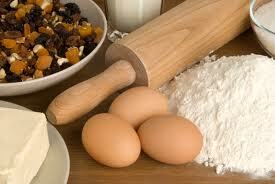 Gluten free Cranberry and Bluberry Muffins are great for afternoon tea. Why not try our gluten free pasta and sauces too? It will get their creative culinary juices flowing! If you’re making a hamper for someone with a sweet tooth – then treat them to some scrumptious gluten free cakes and biscuits. 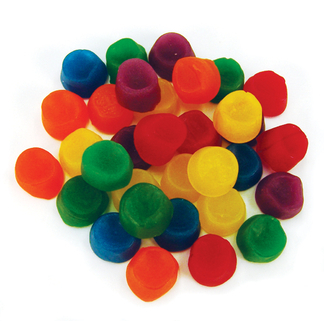 Add in some chocolates and sweet snacks like these organic tutti frutti gums and they’re sure to be in love. 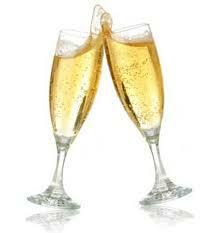 A wee dram or a glass of fizz? A bottle of wine or champagne in a Christmas hamper is almost compulsory but you don’t have to stick with the standard. Gluten free whisky and port work well after a festive feast. Or add some mulled wine spices to add a Christmassy touch. We’ve also a fine selection of gluten free non-alcoholic alternatives, like Pomegranate Juice with Green Tea. Very refreshing. Our beautifully crafted wicker baskets come in a range of sizes so you can choose the perfect gift presentation. Fancy something different? Our red boxes hold 12 items and look wonderful under the Christmas tree. Once your hamper is packed we add shrink wrap to the basket, keeping the items safe during delivery. A ribbon around the middle makes a nice finishing touch and will also keep those carefully positioned presents in place. 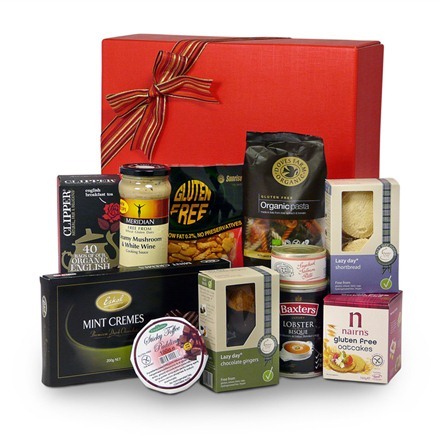 Have you created your own gluten free Christmas hamper? Let us know your tips and advice below.